So the dust has settled, or at least the mud has started falling off, from a really successful Scottish Perthshire Hillrally for the Friesian Racing team! After a challenging weekend Henry and Joel brought MuddyMoo home a mere 6 seconds outside the top ten in eleventh overall and with a resounding first in class against some considerable Super Production competition – equalling our best ever Scottish finish. Apart from the engine cutting out in the second stage which lost the team over a minute and a half, the car ran almost faultlessly! 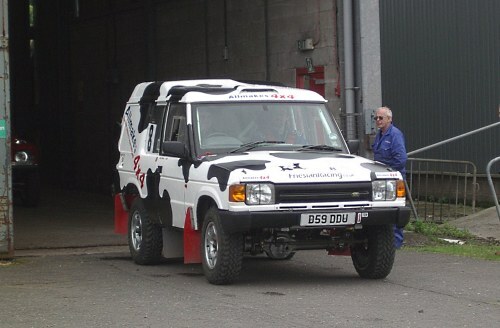 Whilst there was always more than enough for our excellent service crew to attend to when MuddyMoo made her appearances in the service area, most of the issues were pretty minor. This is testament to the thorough preparation that took place in advance of the event, even if it did all seem a bit last minute in the final weeks! With so many major changes over the winter break; a completely new shock absorbing arrangement now using Milner Off Road’s excellent Varidamps, a complete re-wire courtesy of our resident electrical/electronic wizard, Andrew, and a set of comfy and supportive new seats from Motordrive, we could have been forgiven a few teething problems. Instead the wiring performed faultlessly from the moment the last few connections were made – and the Terratrip rally computer now seems to work reliably! 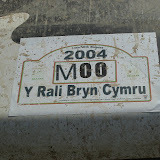 (Even if we didn’t use it much here – MuddyMoo pretty much knows her own way to the the stages, and Henry certainly does!). Thanks Andrew an absolutely fantastic job. I was concerned by the lack of any testing on the new suspension, but needn’t have been. The Milner Varidamps have been awesome out of the box allowing us to carry much more speed and take a lot less risks than before. Andrew Lees has done a great job guesstimating our set up and getting it almost spot on. There is some tuning to do, largely where I tried to pretend I knew better than the experts at Milner Off Road, but this just means that there is more speed to be found. Thanks must also go to my dad for doing most of the welding and fabrication. The suspension took a real beating at the weekend, but all that should be stuck remains firmly welded to the chassis. Another excellent job! 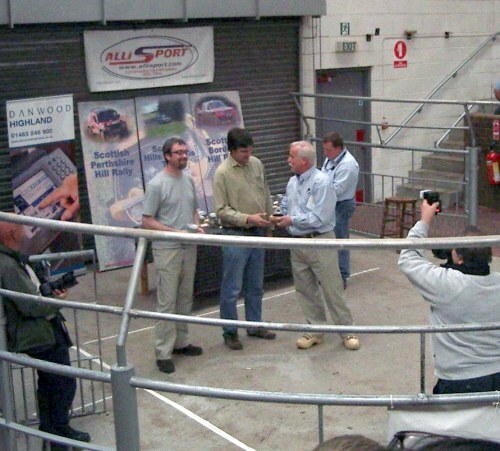 Having broken Joel as well as the steering box in The Hillrally in 2006 it was a pleasant surprise that he was willing to have another go! With Y Rali Bryn Cymru cancelled earlier in the year, Joel decided to take on the roughest one of the lot – the Scottish Perthshire. Not only did Joel survive (you did didn’t you?) 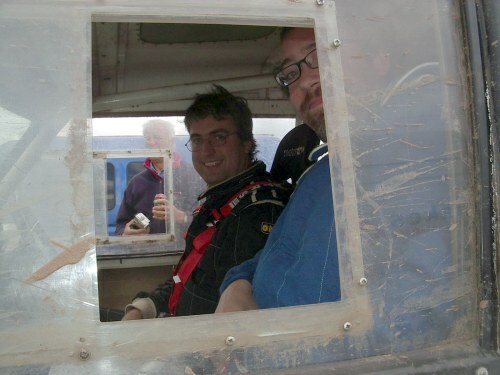 but he also quickly adapted to the new set of skills required for co-driving on open moorland stages. Much less about reading the map and more about giving advance notice of obstacles, corners and hills! Joel’s contribution to the event was absolutely critical to our success this weekend. 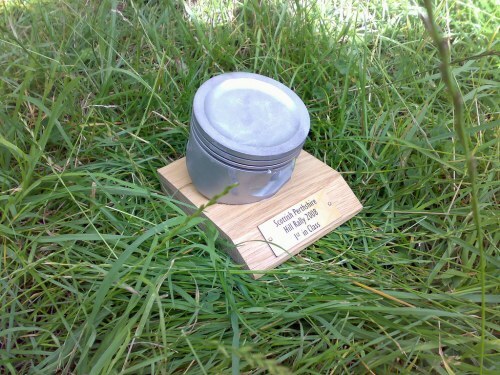 The Scottish Perthshire Hillrally is one of the toughest challenges of the year. 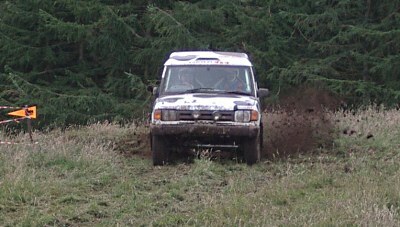 The stages are proper, arduous off-road terrain which taxes the cars and the crews to the utmost, but thanks to the quality Land Rover parts supplied by our main sponsors, Allmakes 4×4, we had virtually no trouble with the car throughout the event. I must also pass on my thanks to my mother, Ronnie who tirelessly fed and watered the whole team, Lesley for her support and Daisy for keeping Andrew so well amused, Sue for putting up with not seeing Andrew for days on end whilst he was under the dashboard with the coloured spaghetti and the many other people who make up the extended Friesian Racing herd and who all contribute generously to getting us through the start line and to the end of the event.